The mission is wonderful. Just want to put that out there. This week was a little bit more normal in the office, as we didn’t have a bunch of crazy abnormal things going on. Just the normal crazy stuff jaja. The best thing was that we got to go out and teach a lot more this week! It felt so good to be sharing and preaching the gospel. We found six new investigators this week between the three of us (me, Elder Llanos, and Elder Thompson), and all of them committed to be baptized and to come to church! The biggest thing we are praying for now is that they can keep firm in their commitments. One of the biggest challenges in the office is that because we are limited in proselyting time, we can’t do nearly as much follow-up with our investigators as we would like to, but we do our best, and know that when we do our best to get out and work in the field, that they Lord will make up the difference. It’s interesting, a lot of times, I have a lot of pendientes that are kind of urgent, but if I put them to the side for a little while and go out to teach, even if I can only manage an hour or two that day, the Lord always blesses me with the ability to focus and get things done more efficiently. Truly He blesses us when we are in His service. This area is definitely different than any of the other areas I’ve had so far in the mission. My other areas were pretty tranquilo. Our area here is basically the heart of the villa in Santa Fe (like the ghettos). It’s called Barranquitas. The great thing is that there are a lot of people who are willing to listen to us, and who are looking to make changes in their lives. It’s really a blast to go out and work, to find people and to teach. A couple of fun things from the week: I started to learn how to drive with Elder Clayton! We went to Walmart, because we had to buy some things for the mission, so while we were there, I practiced in the parking lot. I was driving for probably 20 minutes, and I only killed it like 6 times! I feel like that’s pretty good for my first time driving stick, right? (side note: that is something interesting about Argentina, there no parking lots. You basically just put your car wherever you want and then turn on your hazards, because everything is legal with hazard lights, right?) Still not driving in the streets, though. We’ll get there eventually. Yesterday, the new mission secretary got here to be trained. 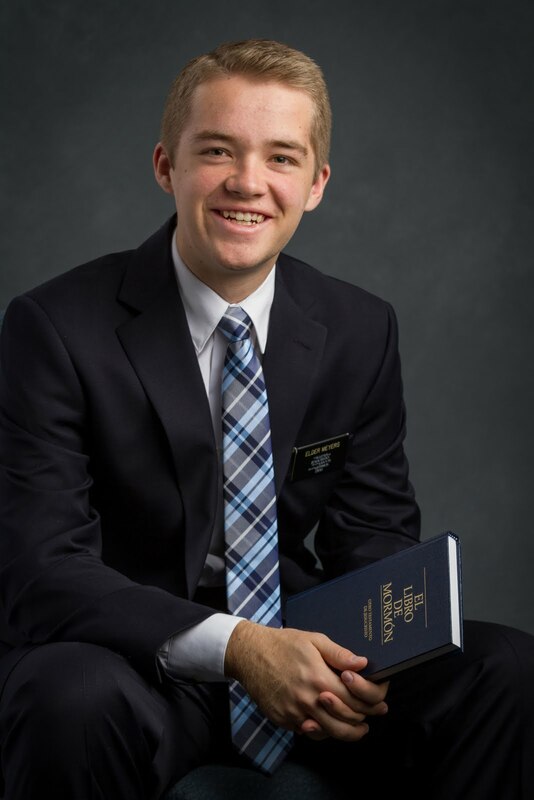 His name is Elder Dillon, and he has a year in the mission. Elder Clayton will be leaving the office at the end of this transfer, so he’s training now. We are now six elders in the office, so it’s a little crazy, but it’s ok. It’s fun. This gospel is true. I know that as we put the Lord first, as we do what He wants us to do, we are able to do so much more. The Lord can magnify our time, and he can magnify us. His power is infinite, and through Him, all is possible. As our Savior Jesus Christ instructs us so simply and powerfully in His Sermon on the Mount, “But seek ye first the kingdom of God, and his righteousness, and all these things shall be added unto you.” “For your Heavenly Father knoweth that ye have need of all these things.” (Matthew 6:33,32; 3 Nephi13:33,32) Our loving Father in Heaven knows our needs. He knows our needs, spiritual, physical, emotional, mental. Above all, He knows what we need to be happy. And because He knows that, He asks us to do exactly what will bring us the most joy: exercise faith in Him, leave the things of the world behind, and follow Him. In doing this, we obtain joy only available through heavenly means, and our Father, who loves us, will add unto us all things we have need of. May we always follow the Savior, and never forget by whose power we receive all that we have! Learning to drive a stick shift in the Walmart parking lot.